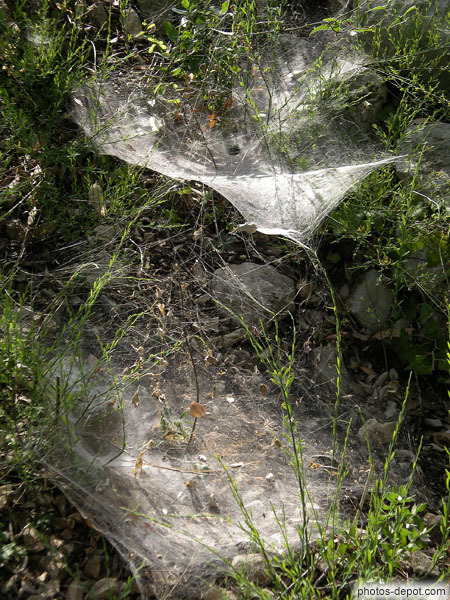 Today seems to be the day when, once a year in this part of France, every spider in the region spins her best possible web at the same moment. Early in the morning, when covered in dew, the whole landscape seems to be dotted with uncountable millions of these amazing structures. Now spider's web, as you may well have heard from Janine Benyus, is made with an input of only dead flies and sunlight and yet is five times stronger than Kevlar - so this particular bio-building spree is amazing to contemplate. Nobody seems to know why the spiders mount this phenomenal display. I did discover that the spider will sometimes eat some of its own web every day to regain some of the protein lost during the web’s construction. This would be a splendid form of quality control in human architecture, too.